Kenro Frisco Frames are made from a thin plastic moulding, available in Black (B) or Silver (S) in single formats. 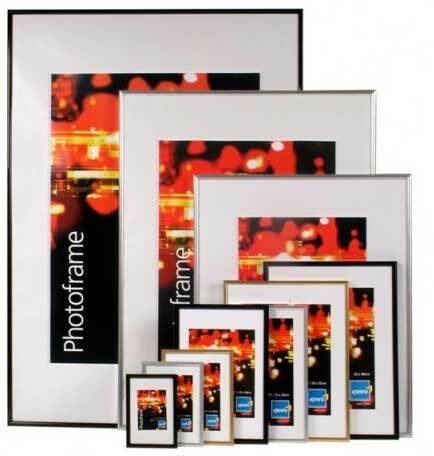 Frisco frames up to 11x14" have strut backs and hooks so can be used on a table top or wall hung. All other Frisco frames have hooks ready for wall hanging.